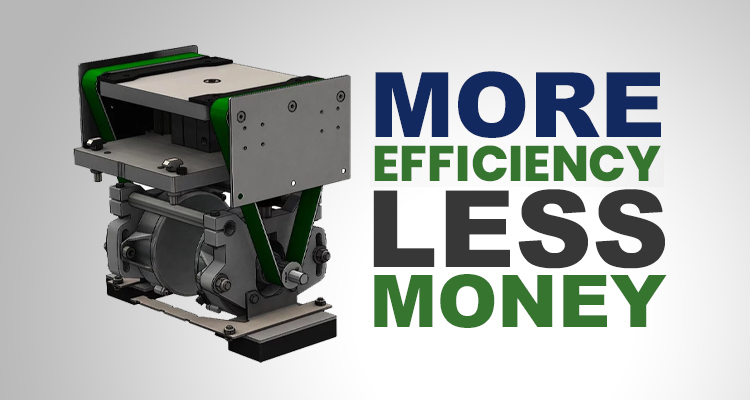 Multi-functional conveyor devices make automation processes more efficient while saving clients money. The Lift Transfer Unit is a great example of this. Not only does it fulfill the traditional design to transfer a pallet or plate to a transfer conveyor or a spur line at a right angle, but it’s also highly configurable, functional, and controllable. Here’s how. We build the Lift Transfer Unit to the client’s specifications to meet their design criteria. Depending on the layout and the customer’s needs, we’ve also offered customization on the top plate. For example, we have altered pallet top plates so they could be ported or modified to be used as a workstation and a transfer and not just a standard stand-alone transfer. We’re able to locate the pallets accurately within five thousandths of an inch, allowing the pallet and the LTU to assist in automation operations. The conveyor belt itself is also configurable. We use T5 timing-style conveyor belts for positive drive. We have several belt materials available to service a wide range of pallet handling conditions, including antistatic materials available suitable for operation in static-sensitive areas or with static sensitive payloads. The conveyor utilizes all ball-bearing-supported rolling elements for long, maintenance-free operation. Our LTUs can be driven with traditional AC drives or with a 24 volt DC option. The 24 volt DC is a compact design option with an integrated driver card that means the customer doesn’t have to install an AC motor starter in the electrical panel, thus saving costs on the starter and the controls to program it. As another cost-saving option, this device is also available to be slave-driven, eliminating the need for any onboard drive. The payload capacity of the LRU is 150 pounds at 80 psi. To increase this, we can mount the Lift Transfer Unit to the floor instead of to the conveyor (as is traditional), and utilize a slightly different design, so it can handle heavier loads. Due to excessive size or weight, often clients can’t use a Curve; an LTU makes more sense in that instance. When the Lift Transfer Unit is at the corner, we can build it for use as a workstation, making it part of the work cell/process. The corner is typically considered dead space, but instead, we can make it functional. If clients need the accuracy and can take advantage of it, we can build it to be incredibly precise and make the LRU even more functional. The Lift Transfer Unit picks the product up off the conveyor by 8 mm to clear the pallet guide and to complete a right angle transfer from one conveyor to another. Each unit contains a pair of belts that lift to engage the pallet perpendicular to the direction of flow. The lift action raises the pallet up and over the guide rail so it can be conveyed onto the adjacent transport conveyor. Units are bi-directional and can be set up to manage two-, three-, and four-way traffic control conditions. Built to your specifications, our highly configurable Lift Transfer Units are customizable to your client’s process, is available at any size in 1mm increments, and has options for drives (including a 24 volt DC option). It’s streamlined using the latest technology. Contact us today to see if the Glide-Line Lift Transfer Unit can work for your client’s process. In addition to having the biggest laugh and smile in the room, Tom brings a passion to the growth of our company that is unmatched. He thrives on helping customers and building long term relationships. Tom is a "go anywhere, go anytime" guy willing to do whatever it takes to help the cause. He has a fantastic family in Cleveland where he lives with his beautiful wife Linda, and is near his children and grandchildren who light up his face, which in turn, lights up the room.